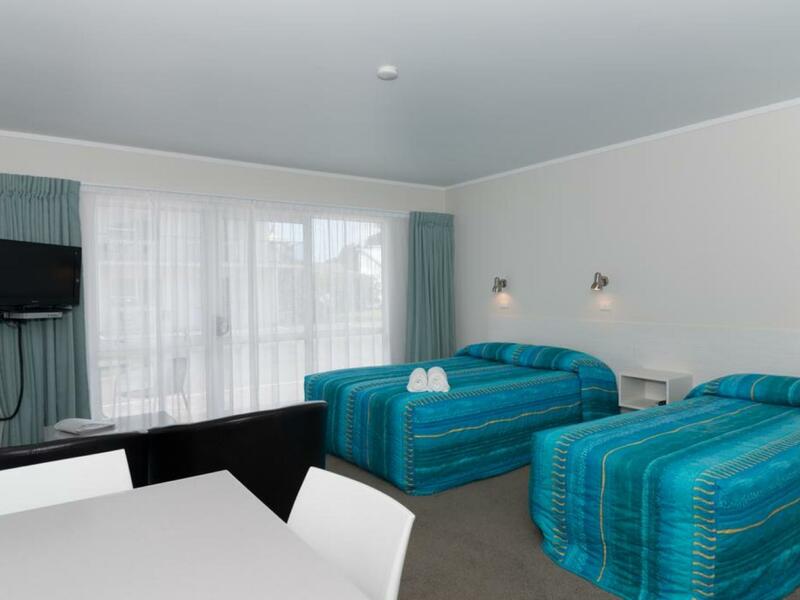 يشكل فندق Averill Court Motel بموقعه الممتاز في قلب Paihia نقطة انطلاق ممتازة لاستكشاف Bay of Islands. يمكن من هنا للضيوف الاستمتاع بسهولة الوصول إلى كل ما تقدمه هذه المدينة النابضة بالحياة. يوفر الفندق بفضل موقعة الجيد وصولاً سهلاً إلى أهم معالم المدينة.
. إن Averill Court Motel حريص على توفير الراحة للنزلاء، فلا يوفر الموظفون جهداً في تقديم أفضل الخدمات وضمان حسن الاستقبال. لضمان راحة ضيوفه، يقدم الفندق الخدمات التالية: واي فاي مجاني في جميع الغرف, تسجيل وصول/خروج سريع, تخزين الأمتعة, واي فاي في المناطق العامة, صف السيارات . استمتع بوسائل الراحة الراقية في الغرف أثناء إقامتك هنا. بعض الغرف تتضمن تلفزيون بشاشة مسطحة, اتصال لاسلكي بالإنترنت, اتصال لاسلكي بشبكة الإنترنت (مجاني), غرف لغير المدخنين, تدفئة لمساعدتك على استعادة طاقتك بعد يوم طويل. يقدم الفندق مجموعة واسعة من وسائل الراحة المتنوعة، كمثل: حوض استحمام ساخن, حمام سباحة خارجي, سبا, حديقة. يشكل Averill Court Motel بخدماته الراقية وموقعه الممتاز، قاعدة مثالية للاستمتاع بإقامتك في Bay of Islands. The weather is so hot and the room only includes 1 standing fan and 1 table fan. There’s a t-shirt left behind from the last guest. Obviously the room was not clean up. In addition the shower area Is very small and toilet has spider in it. Big spacious and roomy in the studio suite. Kichenette fully stocked. Car clearly visible. Spa + pool available. 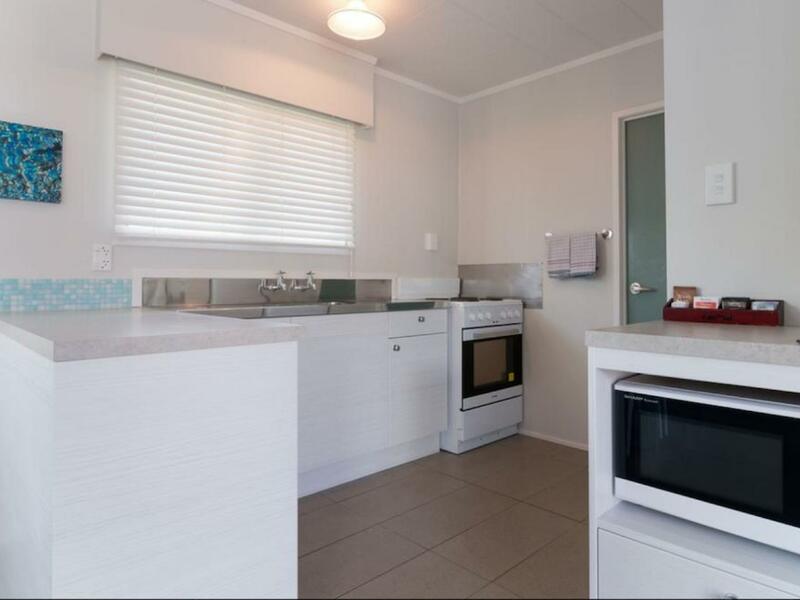 Very handy Laundry room, coin operated on site. Hostess very friendly & welcoming - motel discounts available for some tours, and also recomended places to see and eat. Will definitely stay again. We stayed for 3 nights and found the accommodation perfect for our needs. As a family of mum with two adult children the room was sufficiently spacious and the kitchen facilities were adequate to cook. Location was good, only a few minutes walk to the main town with restaurants, beach etc. Definitely recommended. Highly recommended! The staff was very considerate, lights and heater were turned on prior to our arrival. Designated parking lot was very convenient, kitchenette was well equipped. But the floor can get a little bit sticky after cooking. But overall it's a nice place to stay! We are a group of 3 adults. 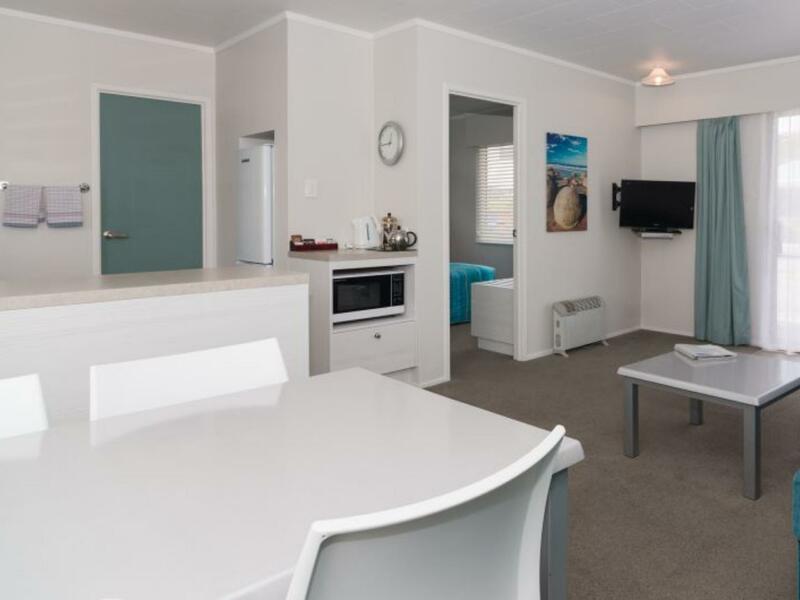 When compared with other backpacker hostels like the nearby YHA and BASE (Tiki Lodge), Averill Court Motel has the best value for money in terms of room comfort, a private parking space, and a spa & swimming pool (although quite small). However, the stove in the self-contained kitchen is not fire-based, so it takes quite long to heat the pans. It was fantastic. For the price we paid it was well above expectation. All the staff were friendly and welcoming. The room was a great size and very comfortable. I would recommend to everyone - I've taken lots of business cards to hand out. By far one of the best accommodation experiences I've had in a long time. Stayed 3 nights in a twin room. Rooms were very roomy with a kitchenette so eating in was easy. Enjoyed having a sitting area and could sit outside and enjoy the weather. A laundry for guests to use. A pool and spa plus a bbq to access as well. The staff were very helpful and happy to assist! Would gladly stay there again.. I got the studio 3 night special. Room was spacious, clean, comfortable and great value for money. Serviced daily. Free car park. 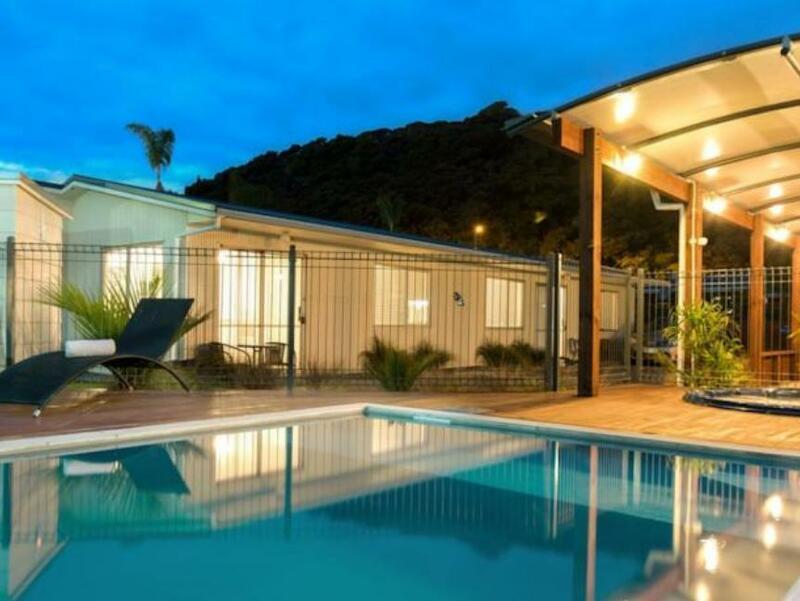 Within walking distance to Paihia town center and ferry port. Wifi didn't have great reception but can't complain as it came free and was enough to check emails, google for information and book tours etc. If you want to watch a movie there is sky TV. I would definitely return to Averill Court and highly recommend for those who wants a comfortable place to stay. Excellent!!! Great accommodation and facilities in the unit. Good parking. Excellent customer service. Very well maintained and looked after. Excellent presentation. Don't go anyway else in the area, go to Averill. I would go again in a heart beat. 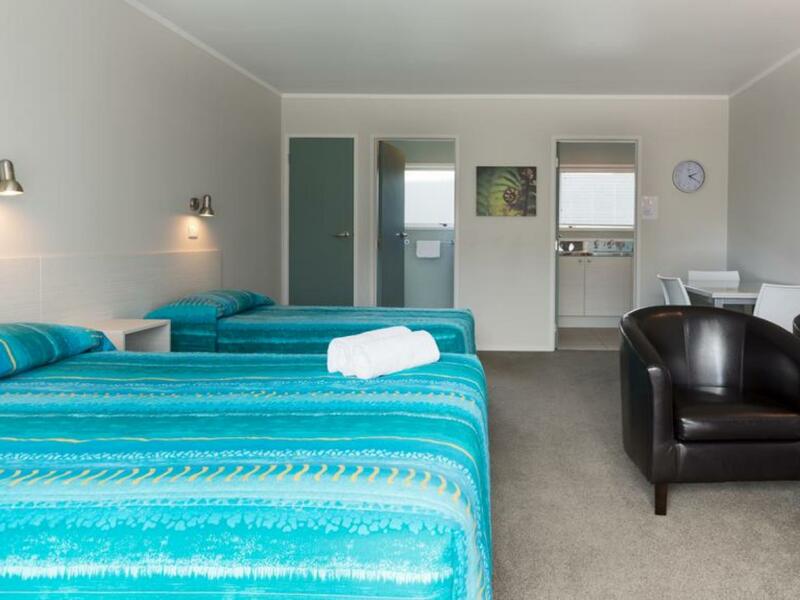 Great Motel, very comfortable beds, kitchen, free Wi Fi friendly staff, great hot spa, very good after a day out sightseeing. We were booked in for 3 nights but stayed 5 nights only about 3 1/2 hours drive to Auckland Airport. We had a discussion with the staff or Owner? as she's saying that we can watch all the movies in the Sky magazine, but when we turned to all the channels, all Sky movies channels are showing an information that "You are not subscribe to Sky Movies. Please call....". I told her about it but she said that she is subscribed to Sky. I told her that it's the Movies that she needs to add as this is her business, she should make the customer comfortable and entertained. We were disappointed about not having to see any movies while staying in that motel. What we did, I turned on my Netflix and we watched from my iPhone. So disappointing! Small things like this will not cost that much but is a basic to give the customer that comfort of staying in that motel. Our previous motel has Sky and Netflix and a good price. But this one does not have these and the owner said she cannot do anything about this. I will not recommend this Motel to my friends. 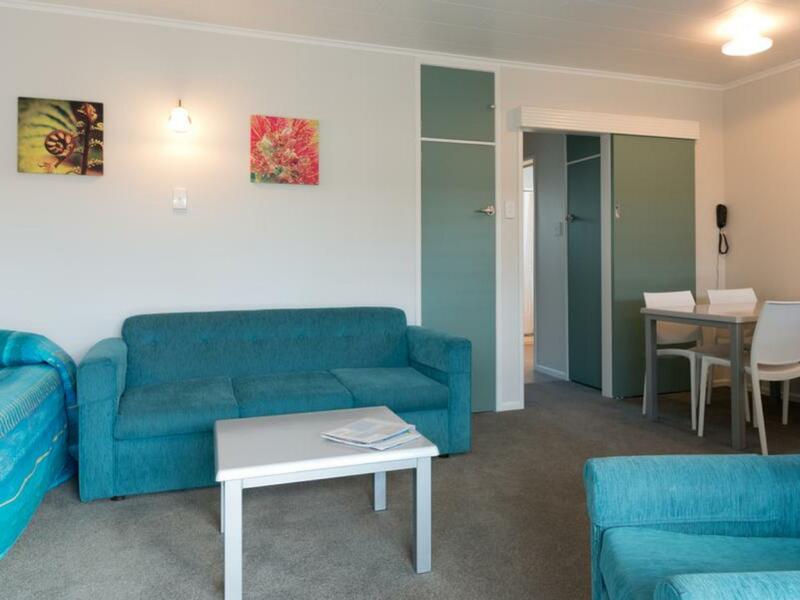 Great location just 10minute walk to maritime building and the room is big and clean. We enjoyed our stay. Very clean, freindly staff, good rooms, nice pool and spa. We can only recommend this accommodation. great accommodation, very clean, friendly staff. Great location and excellent room. However I’m a connectivity traveller. So I really notice when it doesn’t work or is terribly slow. Definitely didn’t win on the front. And yes I did raise it with the hotel. The solution didn’t make it any more effective. We had a lovely stay at the Averill Court. It was easy to find and after checking in we walked downtown for some fantastic gelato. Saw a couple stingrays in the harbor right off the deck with a beer in hand. Took the ferry over to Roberton Island to have dinner at the oldest pub in NZ, which was a real treat. Great service there (which wasn't always the case on our 2 weeks in the country). Beautiful sunset views. Averill court motell was an OK place to stay at time while in Paihia. 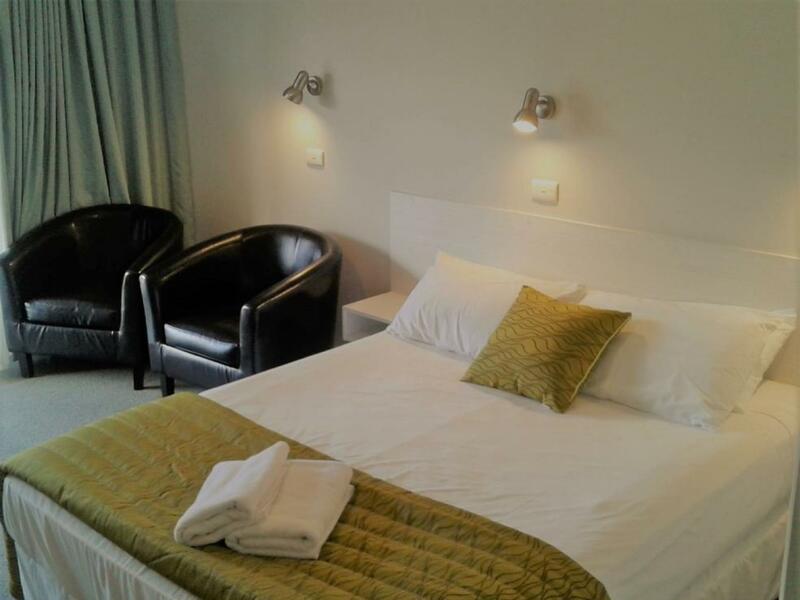 Our ren-suite rooms could sleep a family of 6, but we used 5 beds. Parking is just outside the door and they also have a pool and a jackussi (that we did not mangage to turn on). 5 minutes to restaurants and the beach, 10 minutes to the pier. Good internet and kitchen. Nice place, very clean, friendly and helpful hosts. Enjoyed the stay.